This is our most popular scarf. It's 100 Baby Alpaca and wears stylishly and softly around the neck. 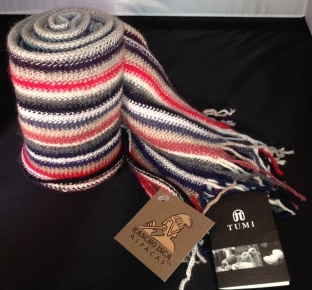 Made in Peru by KUNA, you cannot go wrong with this scarf. This is the last one we have in stock so act fast.